Upon arrival at the festival, you will need to exchange your ticket for a festival wristband to ensure entrance to the festival venues. Please note: You can only do this at our ticket desk in TivoliVredenburg (Vredenburgkade 11, right next to Utrecht central station), not at other venues. Please note that you can only collect your wristband personally, as they will need to be worn immediately. There's no need to print your ticket, we can also scan it from any mobile device. 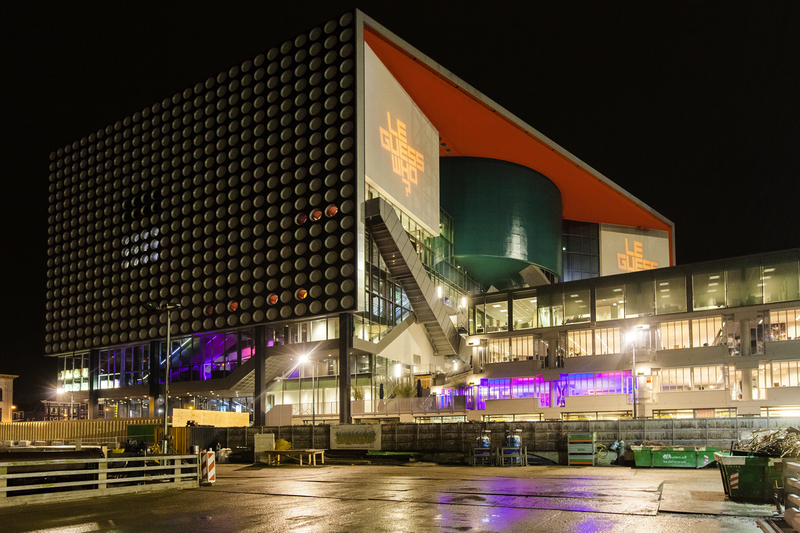 If you'd like to collect your 4-Day Festival Wristband earlier, you can also do so during regular opening hours at TivoliVredenburg's box office (open daily from 10:00 - 18:00; more info via this link) starting Monday, 5 November. If you'd like to collect your Day Wristband earlier (for example to ensure entrance to our Untitled program, that starts at 11:00 on Thursday and at 10:00 on Friday, Saturday and Sunday), you can also do so during regular opening hours at TivoliVredenburg's box office, but only on the day itself. Our official program guide and printed timetables are available at the Ticket & Info Area. This year, our program guide has become a lot more extensive, and also includes sections with program guides for Le Mini Who?, Lombok Festival, and our new satellite event 'Untitled', as well as a Utrecht Treasure Guide and several Illustrated Stories by Bant Mag. Although we try to offer you the most up-to-date information, all printed matter is subject to change. For the latest updates, please visit this website, subscribe to our WhatsApp, or keep an eye on our Instagram, Twitter and Facebook channels. Please keep in mind that all venues have limited capacity. Make sure to be on time if you want to be assured of entrance. Some performances may be loud. Please provide your own earplugs or get them at venues like TivoliVredenburg, De Helling or EKKO.